Gleam is another addition to the 2018-19 RL, featuring some very useful attributes that will certainly be of interest to many growers. The variety features high yield potential backed up by solid disease resistance, including 6.2 for Septoria tritici, OWBM resistance and stiff straw. The variety is slightly earlier to mature than RGT Gravity so could fit well as a partner for those looking to maximise yield and spread harvest workload. LG Skyscraper is one of seven RL candidates from breeder Limagrain. 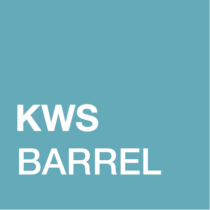 It has been released a year ahead of potential recommendation due to its extremely high yield potential, which puts it at the top of the Candidate list and 4% above control variety KWS Santiago. This soft endosperm wheat with premium potential has solid all-round disease resistance including yellow rust and Septoria tritici. The variety is taller strawed, similar to KWS Santiago, and responds well to PGR treatments. LG Skyscraper is likely to appeal to a wide range of growers. Elicit, a newcomer on the 2018-19 Recommended List, looks to be the perfect Group 3 partner for KWS Barrel. It features improved disease resistance across the key diseases and in particular Septoria tritici, with a rating of 6.4. This combination of disease resistance translates into an excellent untreated yield score, the highest in the group. The variety performs consistently across rotational situations and soil types, and looks likely to be popular with soft wheat growers and among the first to sell out. Hardwicke is into its second year on the RL. Bred by Danish company SEJET (represented in the UK by KWS) the variety caught the eye in trials across the past couple of years due to its short, stiff straw, solid grain quality and disease resistance. The variety has soft endosperm so has various end-market opportunities. Its suitability for distilling makes it useful for the northern market, but it should not be ignored south of the border. KWS Kerrin is a high-yielding hard Group 4 feed wheat, 2% ahead of its parent KWS Santiago, which also features improved Septoria tritici resistance. KWS Kerrin was a new addition to the list last year, and gained around a 5% market share, putting it in the top 10 of certified varieties. KWS Kerrin features a strong eastern and northern performance and performs particularly well on light soils and in the second cereal position. RGT Gravity is one of the most exciting additions to the 2018-19 RL. It is a must-have for all feed wheat growers looking to maximise their output. It is the highest yielding variety in all regions, rotational positions, and soil types. RGT Gravity features strong agronomics, including OWBM resistance and excellent grain quality for a Group 4 hard feed. The variety has a very aggressive growth habit and large flag leaf akin to one of its parents, KWS Santiago. One of a trio of varieties in the Group 4 hard sector from breeder Syngenta, Shabras was another new addition to the RL last year. With Hereford as a parent it looks well suited to the second cereal position, a trait backed up by trials data. The variety shows very consistent performance across all regions and it also performs very well on light soils. Solid disease scores include a 6.2 for Septoria tritici. 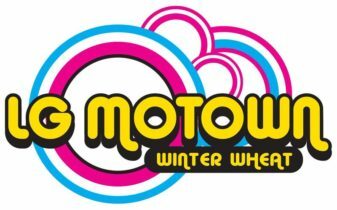 Stablemate to LG Sundance, LG Motown came to the market at the same time. However, it has a number of differences. It is earlier to mature than most in the sector which, together with its suitability for distilling, will benefit the northern market. Best performance comes from lighter sites and as a second cereal. Straw characteristics will require management to get the best out of the variety. One of the picks of the newcomers to the 2017 RL due to its outstanding Septoria tritici rating, LG Sundance gained around 2% market share in last autumn’s plantings, restricted by seed availability. LG Sundance is a high-tillering variety, so lower seed rates should be considered if drilling before mid-October. Its best performance looks to be in the second cereal position. 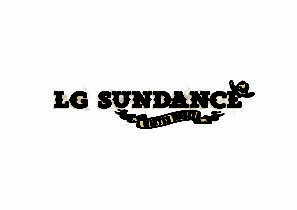 LG Sundance features solid disease resistance and OWBM resistance. soils, and does well when later sown. 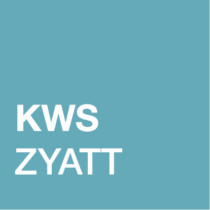 KWS Zyatt was a new addition to the RL last year and gained around 5% market share. It looks set to build on this for autumn 2018 plantings as a partner to the established Group 1 varieties RGT Skyfall and Crusoe. It features strong yield performance, in both first and second cereal situations, the latter aided by the Hereford parentage (a variety known as a good second wheat) as well as its Pch1 eyespot resistance. The variety suits the main drilling window onwards, and has the highest untreated yield in the Group 1 sector, reflecting its solid disease profile. RGT Skyfall continues to be a strong favourite with both quality wheat and feed growers. RGT Skyfall was the biggest certified variety in 2017 and looks set to remain one of the major varieties for 2018 planting. It is the only recommended winter bread-making wheat with orange wheat blossom midge (OWBM) resistance, backing up a strong agronomic package including stiff straw and Pch1 eyespot resistance. RGT Skyfall is better suited for later sowing, from the end of September onwards. RGT Illustrious has struggled to make inroads into the market, coming along two years after its stablemate RGT Skyfall and a year before KWS Zyatt. However, due to its quality characteristics it still maintains a position in this sector, and in this catalogue. RGT Illustrious is also suitable for early sowings, so may fit for quality wheat growers growing a large acreage and looking to spread workload at sowing. The variety has a solid all-round disease resistance and stiff straw. Crusoe represented a step forward in terms of disease resistance from Gallant and Solstice when introduced. It is now outclassed in yield terms by RGT Skyfall and the newcomer KWS Zyatt, but its consistency of both quality and on-farm performance will see it remaining popular with growers. Its Septoria tritici resistance remains the best in its class. 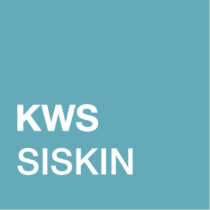 KWS Siskin has been on the RL for two years and has maintained a strong market share. Its combination of yield, disease resistance and premium potential was a step change when the variety was first recommended and is still maintained today. Septoria tritici resistance of 6.9 is class leading in Group 2 and one of the best on the RL. This translates into solid performance in both the East and the West regions. The variety performs well in all situations, both as a first and second cereal, with its strongest performance on heavier sites. 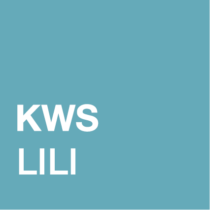 KWS Lili declined in market share in 2017 due to restricted availability of seed, with many multipliers favouring its stablemate KWS Siskin. However, KWS Lili’s all-round disease resistance, along with its solid grain characteristics, means it should not be discounted in the decision-making process. Being slightly later maturing, it performs well on light-land sites, and limited data shows it performs well in the early-sown slot. 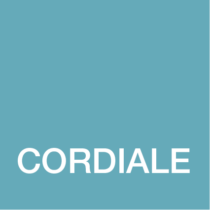 Cordiale has continued to decline in market share, as it has been superseded in terms of yield and disease resistance by other varieties. 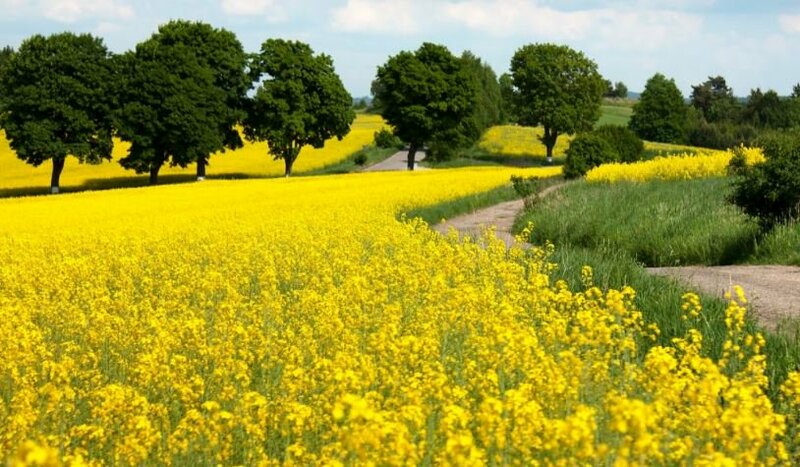 That said, the variety’s quality is well known and consistent, helped by its early maturity, which also provides an opportunity for early entry of OSR. KWS Basset joined the RL at the same time as stablemate KWS Barrel. It is slightly behind in yield terms, but features improved agronomics. The variety inherits Scout’s solid grain characteristics with bold grain size. KWS Basset has performed well in early sowing trials. Graham was the dark horse of last year. Once again selling out, the variety increased its market share from 3.3% in 2016 to just over 8% in 2017, gaining third spot in the rankings. It has a very high yield score in the west, not surprising given its disease resistance package, which includes 6.9 for Septoria tritici, the best in the Group 4 hard sector. Early maturity is another useful trait and makes it a useful partner to some other Group 4 hards already mentioned, along with stiff straw and potential for early sowing. 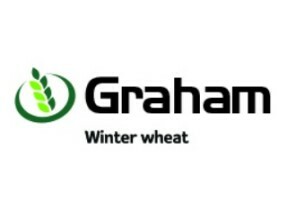 Graham is sure to be another popular variety in 2018. 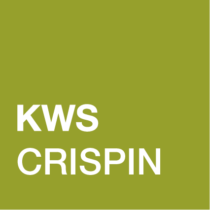 KWS Crispin is the final Group 4 variety featured in this catalogue, and one very well suited to later sowings. A Conqueror cross, KWS Crispin has the parentage to suit a late driller, whilst also removing its named parents’ two real weaknesses, brown rust and low specific weight. Its untreated yield is still among the highest on the list, and a robust agronomic package includes OWBM resistance. Belmont is the latest Syngenta hybrid to be recommended. It has a 2% yield advantage over market leader Bazooka and displays the same broad spectrum disease profile associated with hybrid varieties. Brown rust resistance is lower than other hybrids and should therefore be monitored. Craft is expected to take buyer preference over parent SY Venture after gaining full approval for brewing in May 2018. A 3% yield increase over the current sector leader with good specific weight and low screenings makes this an excellent choice. Craft has shown excellent resistance to lodging in trials. 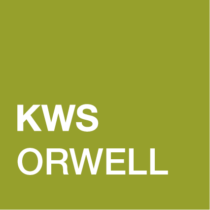 KWS Orwell is the highest yielding two-row feed available. KWS Orwell shows excellent consistency across AHDB regions and its yield is backed up by excellent lodging resistance and good overall disease scores. Mildew should be watched in this variety but is easily controlled and rarely has big impacts on yield. Our choice hybrid for the north, Sunningdale has the highest yield in this region and has one of the best disease portfolios of all recommended barley varieties. Bazooka is the tried and tested option when it comes to hybrid varieties. Yield is still 5% above the nearest conventional and Bazooka is earlier to mature than Belmont, making the two a very good partnership on farm to spread harvest workload. Although Bazooka has tall straw, its lodging figures are very low, making it the perfect option where grass weeds drive cropping decisions. Still the preferred variety among buyers, SY Venture continues to hold the dominant market share in the winter malting sector. Lots of experience with this variety over the years has proven its worth on farm. Rhynchosporium is still an area of weakness and should be monitored. Volume has been around for a number of years and has become a popular choice for growers looking for hybrid six-row barley. The variety has tall, but relatively stiff, straw and early maturity. On-farm yields have been very high indeed. Volume’s vigorous growth habit has been shown to give good competition against blackgrass, which could also be said for Bazooka and Sunningdale.